The hack is the latest in a series of efforts to encourage people to subscribe to the Swedish YouTuber’s channel over the past couple of months. The reason for this being that PewDiePie could be about to lose his top spot on YouTube after having the most number of subscribers on the video platform for years. 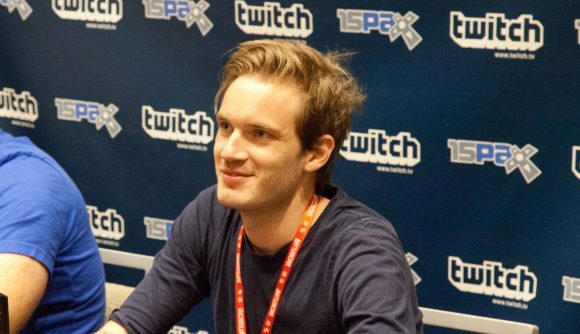 His closest rival is Indian music label and movie studio T-Series, which has been steadily gaining on PewDiePie’s lead, and is currently only thousands of subscribers behind. In response to this, PewDiePie supporters have been making videos to tell people to subscribe to his channel and otherwise spreading the message online to help maintain his number one spot. The most outlandish stunt so far was performed by YouTuber MrBeast who launched an advertising campaign in favour of PewDiePie across Greenville, North Carolina – it included billboards, TV adverts, radio appearances, and wrapping a truck. Now, as spotted by Metro News, the PewDiePie campaigners have taken to hacking GTA V to spread their message. Twitter user Z3RVO shared a photo of the in-game message put into the game by the mystery GTA V hacker. Other GTA V players soon responded to Z3RVO’s tweet showing that they had also received the in-game message to subscribe to PewDiePie. At the time of writing, PewDiePie still has the most YouTube subscribers, with the number now totalling over 74 million. T-Series, on the other hand, is yet to break the 74 million subscriber mark but is less than 200,000 away.